Organised by the Hellenic Centre & ATOPOS cvc. #TextMe_PaperFashion is a pop-up exhibition from the Greek cultural organization ATOPOS Contemporary Visual Culture’s Paper Dress Collection. It has been especially created to mark UNESCO’S Athens 2018, World Book Capital, and the Hellenic Centre’s 25th Anniversary. The exhibition investigates the relationship between text and paper in fashion through selected objects from the collection. Disposable Paper dresses from the 1960s, some printed with press cutting from American and English newspapers, are displayed alongside garments made of recycled pages from account books such as the rare Japanese shifu underclothes from the Edo period. 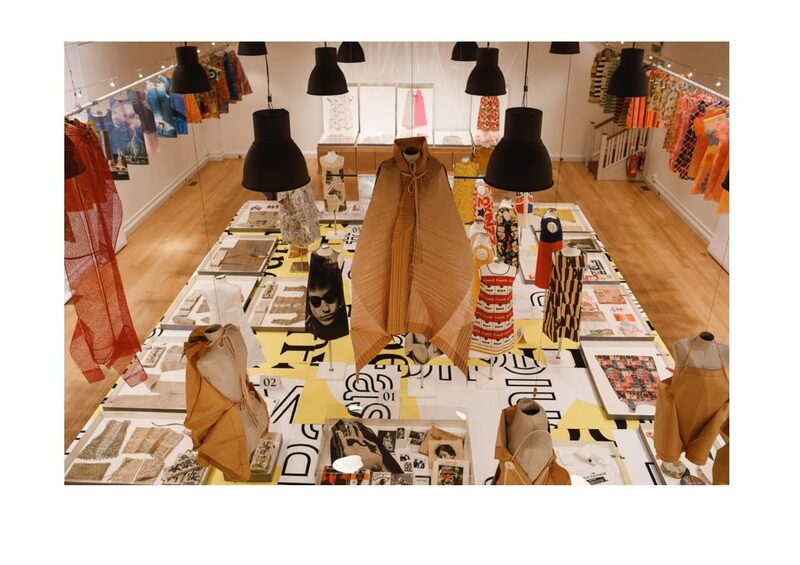 The exhibits include the 1968 Poster Dress of Allen Ginsberg’s poem ‘Uptown NY’, Richard Nixon’s 1968 electoral campaign dress, the after Andy Warhol ‘Souper Dress’, as well as paper dresses printed with press cuttings from American and English newspapers. The exhibition also includes a number of papers garments created by distinguished designers such as Hussein Chalayan, Demna Gvasalia, Issey Miyake, John Galliano, Kosuke Tsumura, etc. The ATOPOS cvc Paper Dress Collection has been internationally acclaimed through the exhibition ‘RRRIPPP!! Paper Fashion’, which was first presented at the Benaki Museum, Athens in 2007 and has since been shown at, amongst others, MUDAM, Luxembourg, the MoMu, Antwerp, the Bellerive Design Museum, Zurich and the Gallerie Stihl, Wailblingen. This is the first time the Collection will be exhibited in London.